Action at Brawner's Farm, August 28. "Our men on the left loaded and fired with the energy of madmen, and the 6th worked with equal desperation. This stopped the rush of the enemy and they halted and fired upon us their deadly musketry. During a few awful moments, I could see by the lurid light of the powder flashes, the whole of both lines. The two ... were within ... fifty yards of each other pouring musketry into each other as fast as men could load and shoot." After Trimble's brigade entered the action, Gibbon needed to fill a gap in his line between the 6th Wisconsin and the rest of the Iron Brigade regiments. Doubleday sent in the 56th Pennsylvania and the 76th New York, who advanced through the woods and checked the new Confederate advance. These men arrived at the scene after dark and both Trimble and Lawton launched uncoordinated assaults against them. Horse artillery under Captain John Pelham was ordered forward by Jackson and fired at the 19th Indiana from less than 100 yards (91 m). The engagement ended around 9 p.m., with Gibbon's men slowly retreating backwards still firing, making their line at the edge of the woods. Doubleday's regiments retired to the turnpike in an orderly fashion. 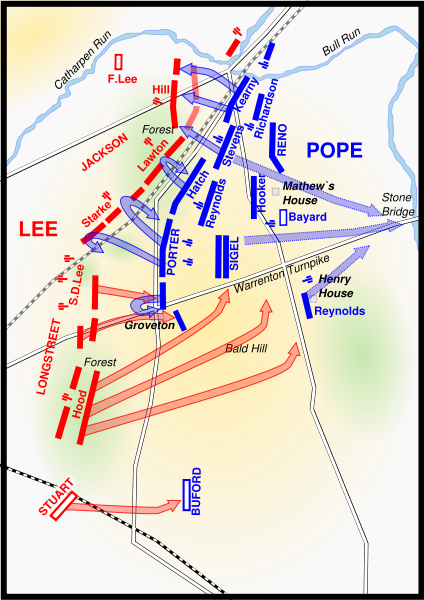 The fight was essentially a stalemate, but at a heavy cost, with over 1,150 Union and 1,250 Confederate casualties. The 2nd Wisconsin lost 276 of 430 engaged. The Stonewall brigade lost 340 out of 800. 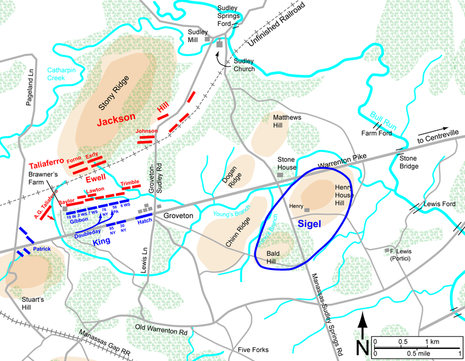 Two Georgia regiments—Trimble's 21st and Lawton's 26th—each lost more than 70%. In all, one of every three men engaged in the fight was shot. Confederate Brig. 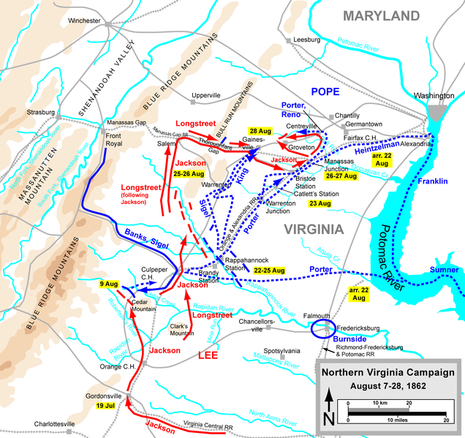 Gen. William B. Taliaferro wrote, "In this fight there was no maneuvering and very little tactics. It was a question of endurance and both endured." Taliaferro was wounded, as was Ewell, whose right leg had to be amputated. "In a few moments our entire line was engaged in a fierce and sanguinary struggle with the enemy. As one line was repulsed another took its place and pressed forward as if determined by force of numbers and fury of assault to drive us from our positions." As the bright red sun slowly set on a warm late summer evening, Union troops marching east along Warrenton Turnpike knew nothing of the danger that awaited them. 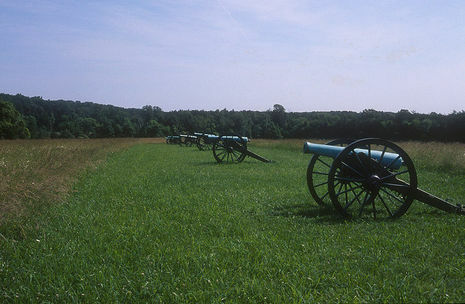 The Federal soldiers had been scouring the Virginia countryside for days, looking for ‘Stonewall’ Jackson, who seemed to have vanished along with all his men. Yet all the Yankees would have had to do to find him was to look up the hill to their left, where Jackson was watching them from his horse.